Cherry – little bones IW Available at the current round of Uber, open on March 25th. Teleport to event. Hone-Onna (v. 1)– CURELESS IW Available at the current round of Uber, open on March 25th. Teleport to event. Kiara – little bones IW Available at Collabor88, open as of February 8th.Teleport to event. *N*UNICORN HEAD DRESS – *NAMINOKE* IW This is a preview for the upcoming round of Enchantment, opening on February 13th. Visit the event website to learn more. Click here to teleport to event. *N*UNICORN Forehead ornament flower – *NAMINOKE* IW This is a preview for the upcoming round of Enchantment, opening on February 13th. Visit the event website to learn more. Click here to teleport to event. Admiral (Red) – Remarkable Oblivion IW / MP This is a preview for the upcoming round of Enchantment, opening on November 14th and running through December 5th. Visit the event website to learn more. Click here to teleport to the event. Hello – little bones IW Currently available at the November round of Collabor88.Teleport to event. 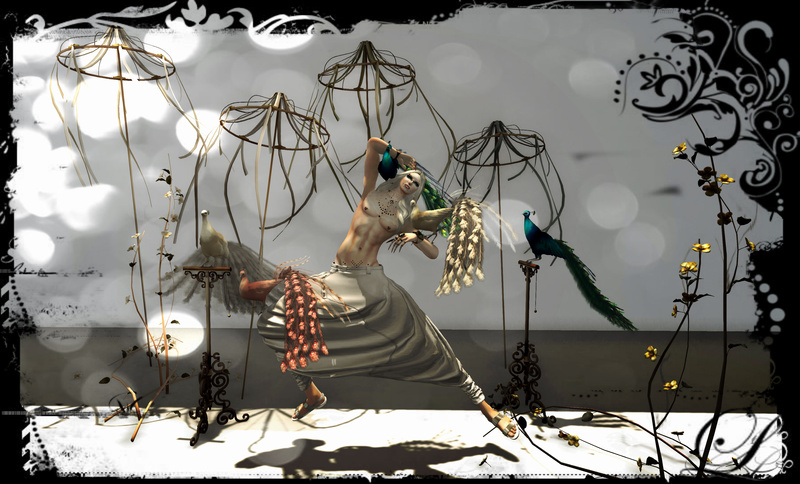 Vintage Outfit (Male) Pitch – EPIC – Yasum IW This item was featured in a previous round of the Fantasy Gacha Carnival. Please consider visiting the main store or visiting yard sales to procure this set. Hello – little bones IW Currently available at the November round of Collabor88. Teleport to event. Atlantis Great Wave Hat Silver (Ultrarare item) – E.V.E. Studio MP This item is available at the Fantasy Gacha Carnival, open as of November 7th at midnight SLT. Click here to visit the event website. Teleport to event. Offshoulder White Fur (Rare) – Gabriel IW This item is available at the Fantasy Gacha Carnival, open as of November 7th at midnight SLT. Click here to visit the event website. Teleport to event. Warrior boots in pants (White) – Gabriel IW This item is available at the Fantasy Gacha Carnival, open as of November 7th at midnight SLT. Click here to visit the event website. Teleport to event.